With its intense story, provocative imagery and shattering music, Richard Strauss’s confrontational one-act opera stunned audiences at its premiere in 1905. Based on a notorious play by Oscar Wilde, Salome twists a Biblical story into a controversial exploration of adolescent passion, religion and secret desires. Today, it remains an extreme and unforgettable musical and theatrical experience. The opera's story of sexual obsession is simple and dark. Herod has imprisoned John the Baptist (Jokanaan) and the lonely Salome, daughter of Herod's wife Herodias, develops an obsessive fascination with the prisoner. This inspires her to a dramatic sexual awakening. Jokanaan rejects Salome’s romantic advances, and commands her to seek redemption. 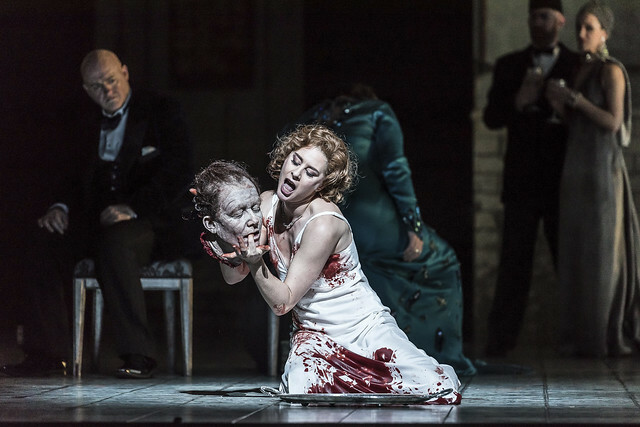 When Herod promises Salome anything she wishes if she will dance for him, Salome sees a chance for revenge: she dances, then asks for Jokanaan’s head as her reward. Richard Strauss based his opera on Oscar Wilde’s notorious 1891 play Salomé. Wilde elaborated on and altered references to Herod’s stepdaughter in the New Testament – where it is her mother who asks for the severed head – to give his heroine an uncontrollable passion for John the Baptist and a tormented, semi-incestuous relationship with her stepfather. Strauss saw the play in Berlin in 1903 in Hedwig Lachmann’s translation, and decided at once to turn it into an opera, adapting Lachmann’s translation himself. Salome’s premiere in Dresden on 9 December 1905 was triumphant. Strauss’s friend the composer and conductor Gustav Mahler hailed it as ‘one of the great masterpieces of our time’. It was also a tremendous financial success for Strauss – when Kaiser Wilhelm II warned him the opera would ‘damage’ him, Strauss pointed out that Salome’s success allowed him to build his luxurious villa at Garmisch. Salome’s fame soon spread internationally, upsetting the censors in Vienna, London and New York but delighting audiences. The work is considered Strauss’s first major operatic achievement. It has been staged in six productions by The Royal Opera since 1949. Strauss’s daringly dissonant score calls for a vast orchestra. The rich colours in the music mirror the luxurious imagery in the lyrics. Garish harps and celestas contrast muted cellos as Herod’s riches contrast Jokanaan’s ominous prophecies. A clarinet ensemble heightens the creepiness of Herod and Salome’s relationship, and a battery of percussion and wailing oboes give Salome’s Dance of the Seven Veils a heady, exotic flavour. In the final scene a moaning double bass terrifyingly illustrates Jokanaan’s beheading, while the organ, celesta and high strings give Salome’s devastating final monologue an almost mystical ambience. For the singers there are ecstatic melodies but also episodes of vocal hysteria as when Herod begins to lose his mind. The 1905 cast initially protested that the opera was too difficult to sing, not least because the role of Salome makes such tremendous demands on the singer. Strauss specified that she should have the vocal power of a Wagnerian soprano – able to sing very low and very high with great force – but have the appearance and outlook of a teenage girl. Salome has to be innocent and manipulative, vulnerable and seductive; prepared to dance the Dance of the Seven Veils and finally to kiss a bloodied severed head without inhibition. David McVicar’s 2008 production turns Wilde’s exotic biblical story into a 20th-century thriller, with a split-level set designed by Es Devlin. Herod’s kingdom is utterly depraved – a place where soldiers torment naked girls in the filthy cellar where Jokanaan is imprisoned, while Herod, Herodias and their guests, in fashionable art deco dress, enjoy an elegant dinner upstairs. When the party descends into the cellar their behaviour becomes increasingly volatile and uninhibited, drawing out the opera’s metaphors of subterranean desires and corruption. Trapped in this vile society, Salome yearns for a better, more meaningful life, but is too psychologically damaged to achieve one. Previous productions have focused on the risqué nature of the Dance of the Seven Veils – some taking the strip-tease literally, as with Peter Hall’s 1988 Royal Opera production – but McVicar adds a psychological depth to Salome’s Dance by depicting it as a series of flashbacks that show how Herod has abused her since childhood. In the horrific final scene, with Salome drenched in Jokanaan’s blood as she rapturously embraces his severed head, it is impossible not to feel some compassion for this abused girl who has in turn become an abuser. 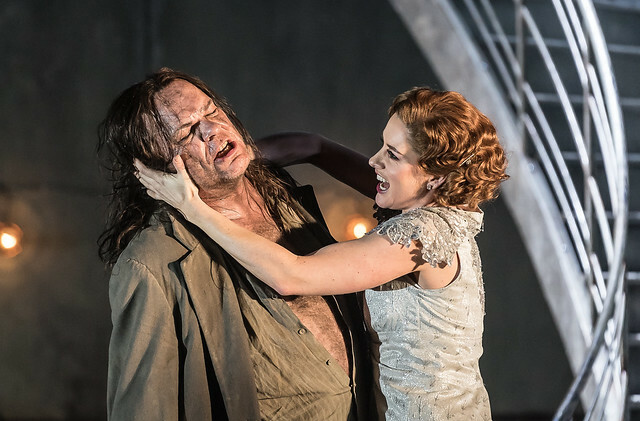 Janáček’s final work, From the House of the Dead, George Benjamin's Lessons in Love and Violence, Shostakovich's Lady Macbeth of Mtsensk or Wagner's Lohengrin. Salome runs 8–30 January 2018. Tickets are still available. Presented with generous philanthropic support from Simon and Virginia Robertson. Completely compelling: thrilling and twisted in equal measures: totally awesome evening!